What is this Google? Is it a bird? 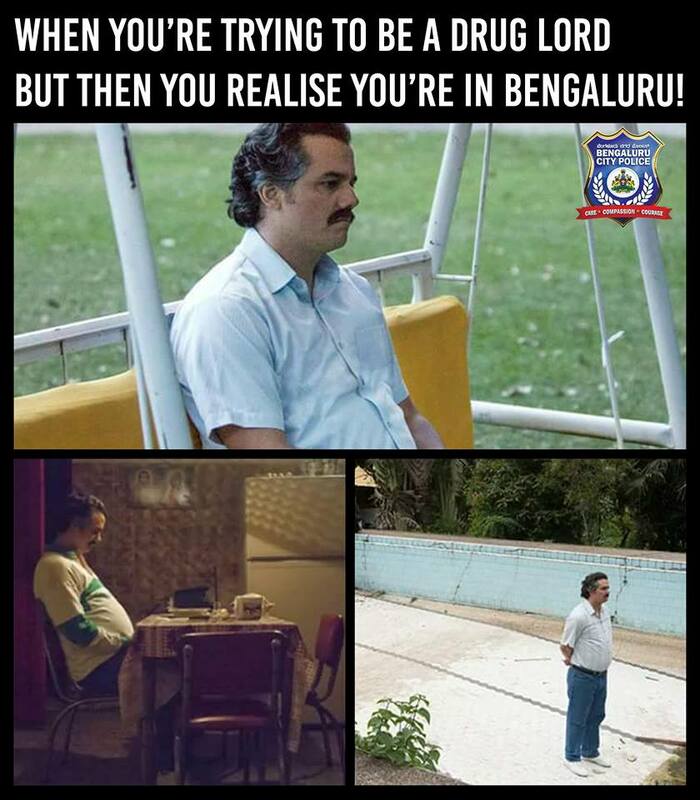 Whoever is handling the Bangalore Police Twitter account, is simply killing it! We've also just recently discovered an EPIC sub-reddit for you guys to LOL all day long! Move over Flipkart & Amazon. Indian homemakers selling via WhatsApp & Facebook have a combined GMV of over $8 Billion! It reiterates the fact that trust is still lacking in Indian e-commerce, and people want to talk to the seller and potentially bargain before making a purchase. This also serves as a validation for our decision to invest in Meesho last year #ShamelessPlug. The days of free UPI transactions seem to be coming to a close. HDFC just announced that they will start charging users for every transaction they make via UPI. The suggested charges, when UPI was launched, were 50 paise/transaction, but it seems the bank will charge a minimum of INR 3 + taxes per transaction. What was the point of UPI again? The image below is titled, 'Yes, please'. Community based stock trading, where participants vote on the trade of stock with a bankroll of $50k that is live streamed on Twitch - that's what's up. You know who the best people are to get your business idea(s) funded? Your customers! A very interesting interview with Wade Foster, co-founder of Zapier. It's very rare to be the only player in a particular space when starting up. So how do you differentiate and choose a competitive strategy? The brilliant Tomasz Tunguz weighs in.